Join us for an afternoon of Classical Chinese music paired with tea! Joline Zhu has been a Gu Zheng performer and teacher for 21 years. Since she immigrated to the US when she was 18, Joline has held many solo and group concerts including at the Lincoln Center and has led multiple award-winning ensembles. Joline is a student of Mr. Li Haibin, a member of the China Conservatory of Music and the Central National Orchestra of China. 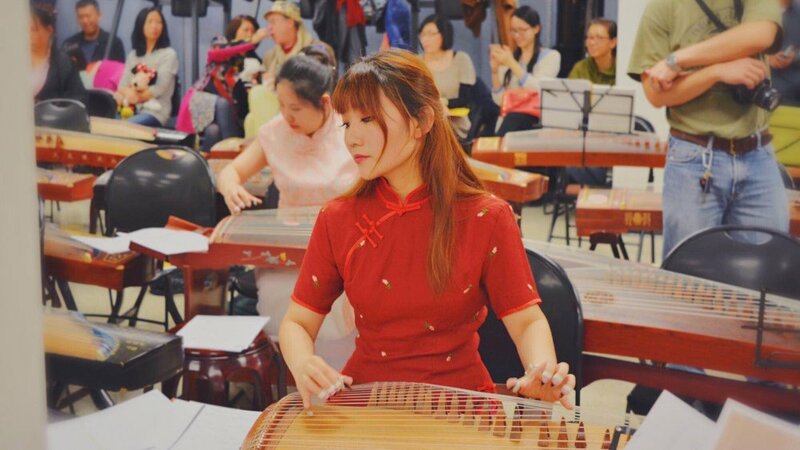 Gu Zheng is a Chinese plucked string instrument with over 2500 years of history. Though often times a centerpiece at a Chinese Orchestra, its highly ornamental tones and loud acoustics makes it a perfect solo instrument to showcase wide range of Chinese melodies.